A step towards updated information and quick access of data on 17 Categories and Grossly Polluting Industries. A new MIS developed by CPCB for enabling the furnishing data/information by the SPCBs. It serves as a field formation and also provides technical services to the Ministry of Environment and Forests of the provisions of the Environment (Protection) Act, 1986. Principal Functions of the CPCB, as spelt out in the Water (Prevention and Control of Pollution) Act, 1974, and the Air (Prevention and Control of Pollution) Act, 1981, (i) to promote cleanliness of streams and wells in different areas of the States by prevention, control and abatement of water pollution, and (ii) to improve the quality of air and to prevent, control or abate air pollution in the country.Air Quality Monitoring is an important part of the air quality management. The National Air Monitoring Programme (NAMP) has been established with objectives to determine the present air quality status and trends and to control and regulate pollution from industries and other source to meet the air quality standards. It also provides background air quality data needed for industrial siting and towns planning. Besides this, CPCB has an automatic monitoring station at ITO Intersection in New Delhi. At this station Resirable Suspended Particulate Matter (RSPM), Carbon Monoxide (CO), Ozone (O3), Sulphur Dioxide (SO2), Nitrogen Dioxide (NO2) and Suspended Particulate Matter (SPM) are being monitored regularly. This information on Air Quality at ITO is updated every week. Besides this, CPCB has an automatic monitoring station at ITO Intersection in New Delhi. At this station Resirable Suspended Particulate Matter (RSPM), Carbon Monoxide (CO), Ozone (O3), Sulphur Dioxide (SO2), Nitrogen Dioxide (NO2) and Suspended Particulate Matter (SPM) are being monitored regularly. This information on Air Quality at ITO is updated every week. Industries discharging effluents into a water course and (a) handling hazardous substances, or (b) effluent having BOD load of 100 Kg per day or more, or (c) a combination of (a) and (b).In compliance, CPCB issued directions under Section 18(1) (b) of The Water Act, 1974, to all the SPCBs/PCCs on July 14, 1997, for inventorization of GPIs and initiating action against the defaulting industries. Sector Wise Distribution of industries? There are 992 industries in the main stem of Ganga and referred tributaries Kali (E) and Ramganga. Out of which 851 industrial units are in Uttar Pradesh followed by 61 in Uttarakhand,43 in West Bengal and 40 in Bihar. 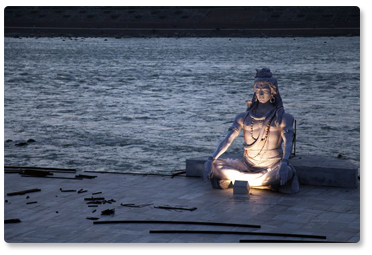 Ganga has been a source of inspiration to saints, sages, poets, authors, scientists, leaders, and many who have gathered at Her banks. Ganga is not only the lifeline of nearly 500 million people who live along Her banks and the ecosystems She supports, but She is truly the cultural and spiritual heritage of India.If Ganga lives, India lives.If Ganga dies, India dies.